Apart from A Wondering Minstrel, I also worked on another film that premiered for the fall 24 Hour Film Festival! I teamed up with two extremely talented first year animation students Bernard Malijan and Vincent Sanyoto, the same people I collaborated with earlier in the semester. It was an interesting experience with a few bumps along the way but we managed! The most difficult part was teaching the two of them the programs and the entire pipeline and process of creating a short film. With them having only been in the program for 2 months, they were still getting the hang of animation and the animation process altogether. Even though I'm in second year and I was teaching them these programs, animation techniques and whatnot, I too learned a lot from working with them such as cleanup. 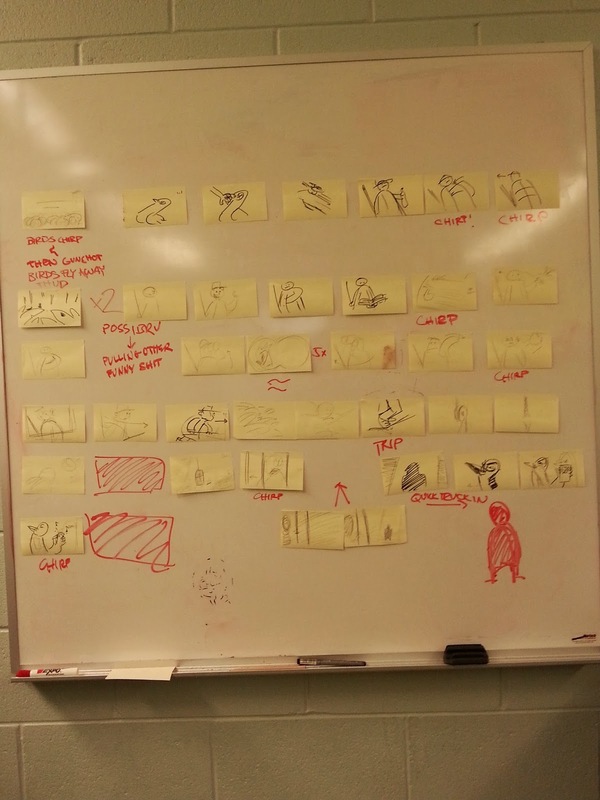 For this film we all contributed to the story and the storyboarding. I did the majority of the animations which I had to keep as simple as it can be with the time limit we had (we originally planned 3 days but it spanned over a week of production). 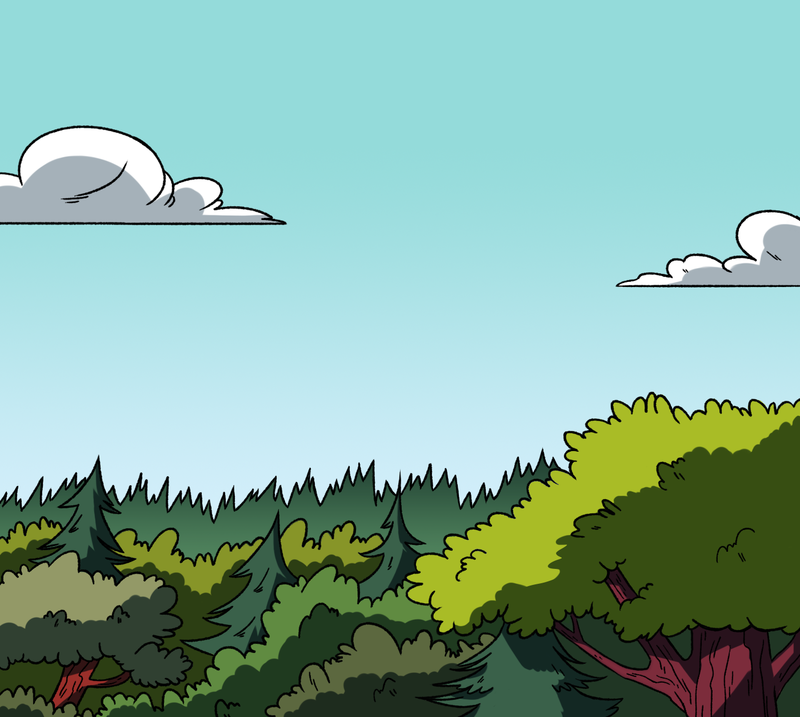 I also did the colouring during clean up and the compositing. 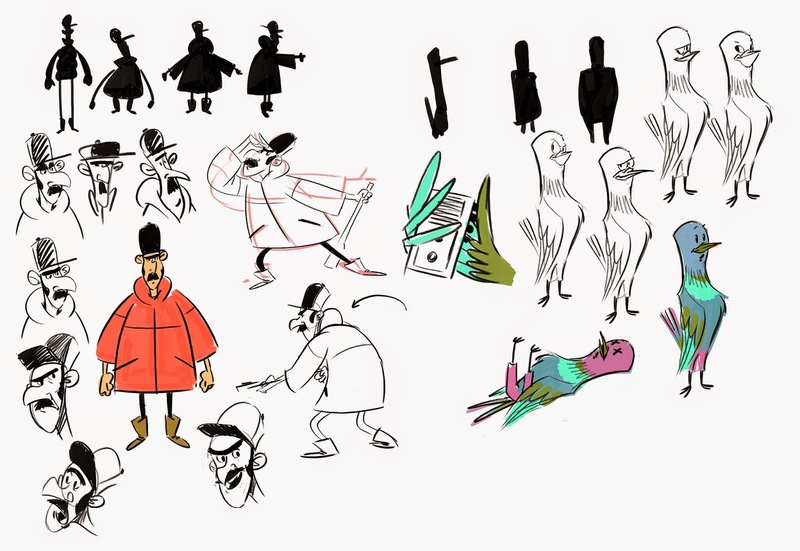 Bernard did character designs, small animations and line clean up (WHICH ARE AMAZING CLEAN UP LINES) and Vince did layouts and a tiny bit of animation. And just like with every small collaborative projects, everyone helped each other out and contributed and critiqued each other's works. The collaborative process was fun and I like how the film turned out. The two of them put in so much effort into this film it was great to see the passion they had. For their first short film, we did a spectacular job! So here we go, enjoy Chirp! 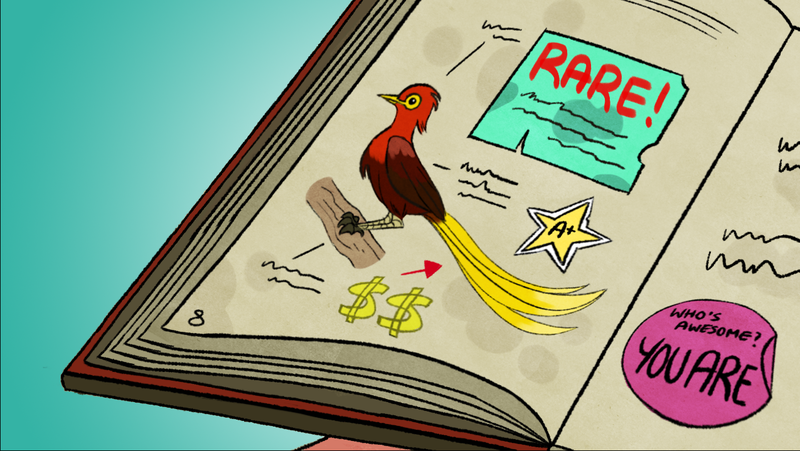 A bird hunter hears the call of a rare bird and attempts to hunt it down. Dancing bird-versions of us by Bernard! Here's the beautiful Bernard posing with our story beats. The origins of our story stemmed from an idea of some buzzing sound annoying someone and them trying to figure out where it came from. Instead of getting into the details, we worked with the basic phrase "What's that sound?" instead. Bird calls not making bird sounds came into mind and it went from there. And our totally legit "leica". It's mostly just rough timing no sounds. 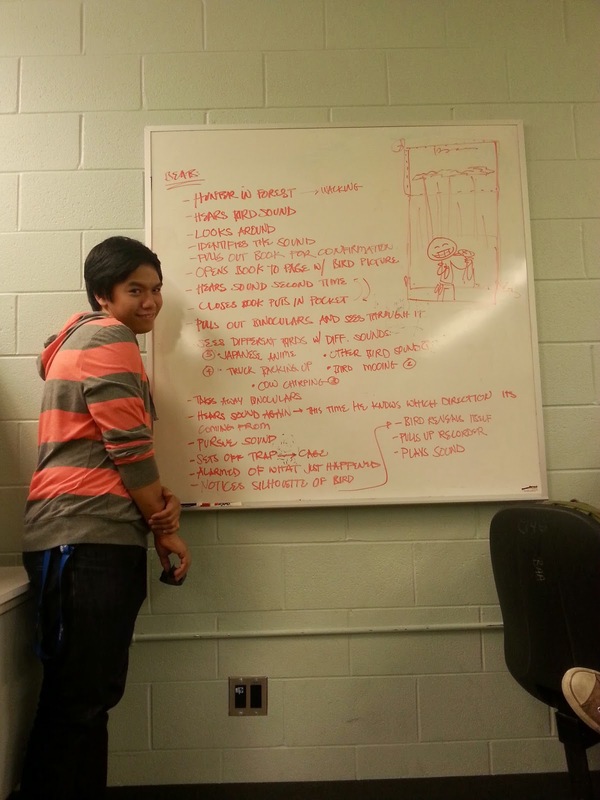 Enjoy the drawings, we're the finest storyboard artists you'll have ever come across.